In this Photoshop tutorial, you're going to learn how to "make colors Pop" by selecting an individual color range and bringing those colors to life. This is a very simple tutorial, but you'll learn one of the essential stages of the photo editing process, which can be applied to almost every image. 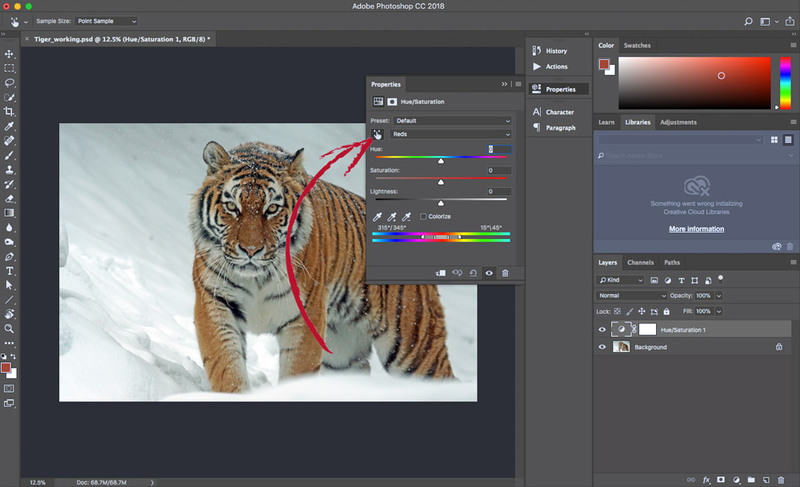 Start by opening up your photo in Photoshop. You can do this by clicking File > Open, or by pressing Cmd + O or Ctrl + O on Windows. Create a new Hue/Saturation adjustment layer by clicking the half-filled-in circle at the bottom of the Layers window. Most of the time, when we are adjusting the colors of an image, we want to target a specific color range. 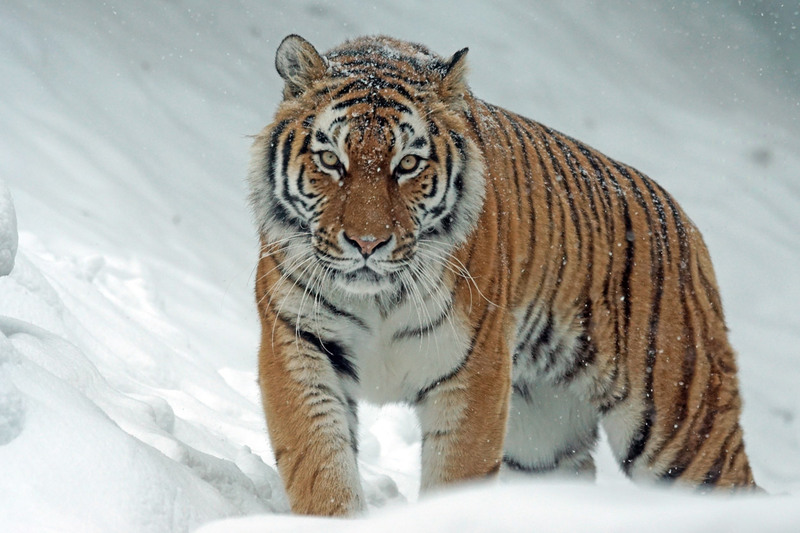 In the tiger image here, there are only a few color ranges that are able to be altered (mostly reds and yellows). However, in an image with a variety of different colors in the foreground and background, we don't want to make every color 'pop' as this tends to make the subject lose focus. We only want a specific color range to stand out (in your image this may be blues, greens, cyans, etc.). If you already know the color range(s) that you want to alter, you can select the drop-down that says Master, which will allow you to select your individual color range (Red, Yellow, Green, Blue, Cyan, or Magenta). However, if you want to make sure you are going to be affecting the correct color range, click the pointing hand with the left and right arrows. Next, mouse over the color in your image that you are wanting to alter—an eye dropper will appear. Finally, click on that area. This will automatically sample the color range from the image and it should appear in the drop-down. In this case, I sampled a pixel in the red color range. Now that Photoshop has accurately sampled the 'Reds', you want to make sure that you are covering the whole color range that you want to make 'pop'. In order to do this, drag the slider under the color spectrum so that the entire color range is within the slider brackets (see image below). This will allow you to make every 'red' pop in this image. I have extended the color slider to alter the oranges and a few of the yellows as well as. Next, adjust the Saturation slider to an appropriate level. In this image, I went on the very high end of the slider, but many times you will only need to go in the ranges of '5-20'. If you go a little too high, the image may start to look fake and overly saturated. Lastly, in order to draw attention to the subject, even more, we can create an 'iris blur' to blur the background a bit more. If you already have a fairly blurred background, and your foreground is really in focus, you can skip this step. To create an iris blur, you want to create a new layer. You can do this by going to Layer > New Layer. 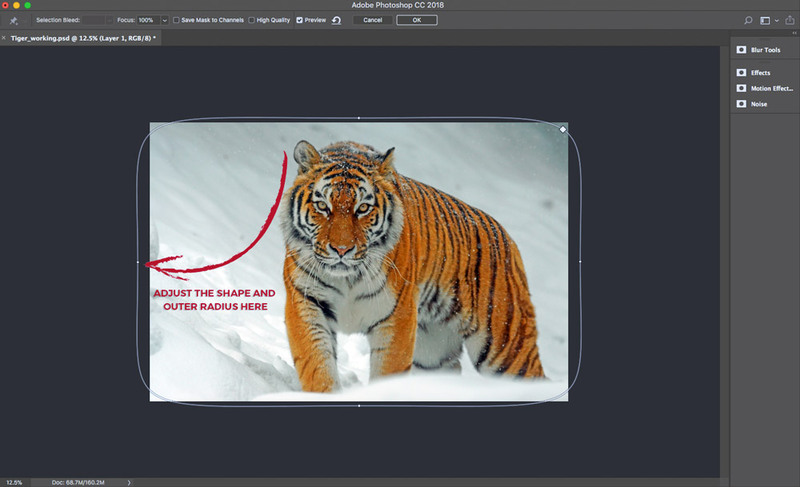 Once you have a new layer created and selected, you want to press Shift + Opt + Cmd + E or Shift + Alt + Ctrl + E on Windows to create a new 'stamp visible' layer. 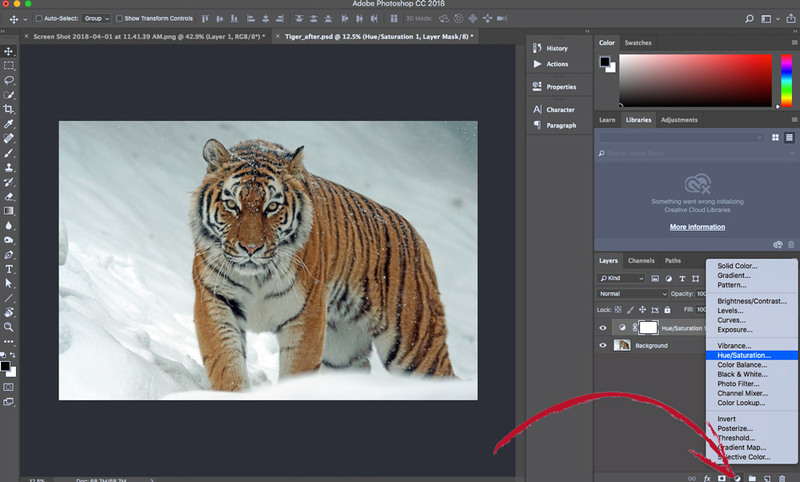 With your 'stamp visible' layer selected, click Filter > Blur Gallery > Iris Blur. A new window should open. With the iris blur, you can alter the outer radius, the inner radius, the outer shape, and the amount of blur you want to add. Adjust these areas until you have your subject inside the inner circle, with your background between the inner and outer shapes. Adjust the blur value in the center until you feel that your background has the right amount of blur. Now that you are done, you should have accomplished a few things. -Make a specific color range 'pop' in your image to bring more life to the image itself and draw more attention to your subject. -Bring more focus to your subject by blurring the background with an 'Iris Blur'.